Taking time to stretch before shooting can help you avoid injuries. Hitting your mark on the archery range takes more than a straight arrow. It also requires a lot of upper body strength and flexibility. For many women, that can be a challenge. Archery uses a variety of muscles in your neck, arms, back and core. Conditioning exercises that stretch and strengthen these muscles can improve your accuracy. They can also give you the power to put in longer sessions at the archery range. Stretching can help prepare your body for the strain that comes with shooting. Stand with your legs apart in a wide stance and twist at the hips, stretching your upper body over one leg and then the other. Stand upright and let your arms hang loosely. Rotate your shoulders forward and backward several times. Interlace your fingers and stretch your arms out in front of your body, rotating at the wrist. Warming up your body before practice with cardiovascular training will help increase blood flow and provide your brain with more oxygen. It can also help you manage the stress that comes with competition. 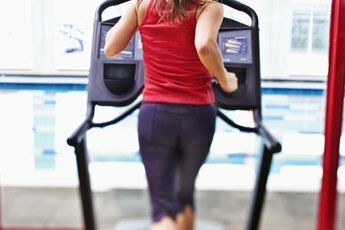 Focus on activities that increase your heart rate such as brisk walking, running or cycling. Aim for 30 minutes most days of the week for overall health. But simply jogging in place for several minutes when you arrive at the archery range will help get your blood pumping. Your abs, back and glutes serve as your foundation when you are shooting. Strengthening these core muscles will improve your aim and release. Crunches on a stability ball are a great way to train your core muscles. Planks also target this area well. Lie on your stomach on a stability ball and then slowly move forward with your hands until your legs are on top of the ball. Hold this position for several seconds, then move backward to rest on top of the ball again. There's no question archers rely most heavily on their upper body, and this is often an area where women need to the most work. But one simple exercise that will give your upper back and shoulders a boost is the shoulder pull-down. Sit on the floor with your hands flat on either side and legs out in front. Push down on the floor with your hands and try to lift your body off the ground. 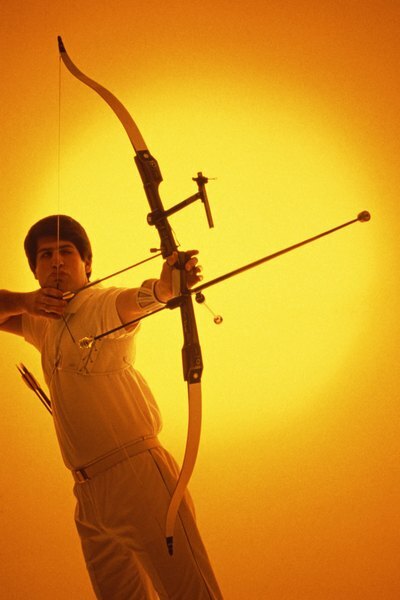 Exercise bands can also help you simulate the pull of a bow string. Hold a band with both hands at arms length in front of your body then pull equally on each side until your arms are stretched to your side and the band is touching your chest. Elizabeth Peterson has been a reporter since 2005, working in television, radio and online. Specializing in health and environmental coverage, she has contributed to MSNBC and several local affiliates. Peterson earned a Bachelor of Arts in journalism.